B.B. King, Born deep in the heart of the Mississippi Delta, B.B. King began recording in the early 1950s in Memphis Tennessee and almost immediately began to connect with his audiences. He has always had a knack for connecting with people, whether from behind the microphone as a DJ on WDIA in Memphis, or from the stage while playing his beloved Lucille. The perfect place to begin to understand what makes B.B. King so great is through the OST to the film The Life of Riley. 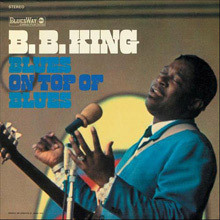 It includes signature pieces, some of his earliest recordings including his debut, 'Miss Martha King', seminal songs like 'Sweet Little Angel' (supposedly about Etta James) and live cuts including 'How Blue Can You Get' from Live At the Regal - arguably the greatest live Blues recording ever. The recent 10 cd box set Ladies and Gentleman, Mr B.B. King, is a fitting tribute to a man who has had the longest recording career of any Blues artist. It highlights the many and varied albums that B.B. has recorded over seven decades. With a career spent largely on the road, it is unsurprising that many of his best albums are in fact live recordings. Among the best are Live At Cook County Jail, from 1971 and Live in Japan - which despite being recorded the same years, offers a very different picture. Live at the Apollo released in 1990 is another classic recording. 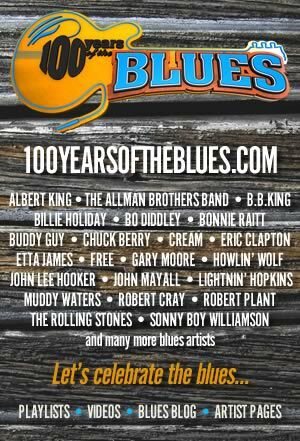 Some decade by decade highlights include 1968's Blues on Top Of Blues, Together For The First Time, his album with his old friend Bobby 'Blue' Bland from 1974, Blues 'n' Jazz from 1983 and Blues on the Bayou from 1998.Â If ever you doubted that B.B. 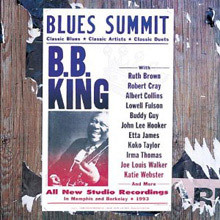 King's still got it check out 2008's One Kind Favor he recorded with producer T-Bone Burnett - it's how the Blues should be played. Riley B. King is the son of Alfred and Nora Ella King and he was born in Indianola, deep in the heart of the Mississippi Delta in 1925. He was named Riley after the Irishman who owned the plantation on which his parents lived and worked. "He was named Jim O'Riley; my dad and Mr O'Riley were such good friends, he named me after him, but he left the O off. When I got big enough to know about it, I asked my dad one day, 'why is it that you named me after Mr O'Riley, why did you leave the O off?' He said you didn't look Irish enough!" According to BB King, "Any time you're born on a plantation you have no choice. Plantation first, that's always first." But it was not long before The Beale Street Blues Boy, as Riley B. King became known, sought to change all that. The sharecropper's son first went to Memphis in 1946 and stayed with his cousin Bukka White, but soon returned to Indianola to work as a tractor driver. Inspired by Sonny Boy Wiliamson's radio show, young Riley moved back to Memphis in 1948. "I got to audition for Sonny Boy, it was one of the Ivory Joe Hunter songs called 'Blues of Sunrise.' Sonny Boy had been working out a little place called the 16th Street Grill down in West Memphis. So he asked the lady that he had been working for, her name was Miss Annie, 'I'm going to send him down in my place tonight.' My job was to play for the young people that didn't gamble.Â The 16th Street Grill had a gambling place in the back, if a guy came and brought his girlfriend or his wife that didn't gamble my job was to keep them happy by playing music for them to dance. They seemed to enjoy me playing, so Miss Annie said if you can get a job on the radio like Sonny Boy, I'll give you this job and I'll pay you $12 and a half a night. And I'll give you six days of work, room and board. Man I couldn't believe it." He began working on the radio station WDIA (pictured left). "When I was a disc jockey, they use to bill me as Blues Boy, the boy from Beale Street. People would write me and instead of saying the Blues Boy, they'd just abbreviate it to B.B." His popularity in Memphis earned him the chance to record for Bullet in 1949. His first sides were not too successful, but then Sam Phillips got B.B. into his Memphis Recording Services studio in September 1950. The Bahiri brothers visiting Memphis in search of talent signed B.B. to their RPM label, and agreed to release the sides that he had cut with Phillips. These records failed to catch hold and so Joe Bihari, the youngest brother, went to Memphis and recorded B.B. in a room at the YMCA on January 8th 1951. On a subsequent visit to Memphis, Bihari recorded B.B. 's version of Lowell Fulson's 'Three O'clock Blues'. It entered the chart on December 29th1951 and eventually spent 5 weeks at No.1 in early 1952. Not quite an overnight sensation, but it was the start of the most successful long-running career in modern Blues history. In the early years of his success, he stayed in Memphis, where he was a big star - but not always as big as he thought he was. "We were in Memphis at the Auditorium, Elvis was there watching, and performing were; Bobby Bland, Little Milton, Little Junior Parker, Howlin' Wolf and myself. Everybody had been on stage. Bobby Bland, a stage mover - man, he can move the people, Little Milton and myself, you know we do what we do, but we couldn't move the crowd quickly like Bobby Bland. We had been on and now Howlin' Wolf is up and the people are going crazy. Milton says, 'something is going on out there'. Junior Parker says 'lets check it out'. So Wolf is doing 'Spoonful', now we go out there and he's on his knees crawling round on the floor. The people just going crazy so finally we figured out what it was; the seat of his pants was busted! And all of his business is hanging out!" One night while BB was playing at a club in Twist Arkansas, there was a fight and a stove was knocked over which set fire to the wooden building. The band and audience had rushed outside before King realised that he had left his beloved $30 guitar inside; rushing back into the burning building he managed to get his guitar, even though he almost died in the process. 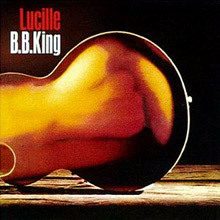 It turned out the fight was over a woman named Lucille, which is how BB's guitar got its name; everyone of the 20 or so custom made Gibson guitars that have all been called 'Lucille'. Throughout the time King recorded for RPM, he churned out hit after hit. Topping the R&B chart three more times, until he left RPM for Kent in late 1958. Kings sojourn at Kent lasted throughout much of the 60s and whilst he never again topped the R&B charts, he had many hits. His sweet gospel tinged voice, coupled with his brilliant single string picking, proved an irresistible combination. It made King one of THE most successful artists on the R&B charts for all time. By the late 1960's, B.B., like his fellow blues guitar players, was discovered by the young white rock fraternity, which gave his career a a real boost. In 1970 'The Thrill is Gone' made No.3 on the R&B chart, it also crossed over to the Hot 100 and became his biggest hit when it made No.15. In 1969 he visited Europe for the first of many visits; audiences, well aware of the legend's influence on Eric Clapton, Peter Green et al, readily accepted him. 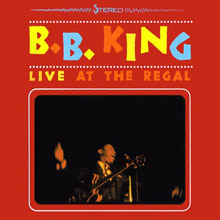 King's album Live at the Regal, recorded in 1964, had long been held in high esteem by both musicians and fans alike, on both sides of the Atlantic. Much of B.B. 's success can be attributed to his live shows. He has always been one of the hardest working live performers, playing 250 â€“ 300 dates a year, even in some of the lean years. He also had a knack for keeping his bands together, an indication of his skill as a bandleader, but probably a lot to do with his gracious nature as a boss. In 1969, B.B toured America with the Rolling Stones, which for many would have been the first time they had seen one of the all time greats in the flesh. According to Bill Wyman, "We used to go on side stage and watch B.B. play. He had a 12-piece band and they were brilliant musicians. The thing that always stunned me about his playing, was the way he hammered it out and then he'd just go down to a whisper. There was just silence in the place, you could hear a pin drop. He would suddenly start to build it to a big climax, that's what I liked about his playing, the dimensions of his music." Throughout the 1970s, when many others found it difficult to find decent work, King was always there or thereabouts. He even appeared on TV, when almost no other blues artists could get a look in. His reputation with other guitarists gave him the position of elder statesman of the Blues. Added to which, he has always been articulate in explaining the meaning of the blues and in so doing, he helped keep the fire burning when it had all but gone out.Â There has been criticism of King as being too smooth for the blues; sour grapes from those would have given anything to achieve a modicum of his success. In 1988, the year after he was inducted into the Rock and Roll Hall of Fame, King worked with U2 on their album Rattle & Hum. His performance on 'When Love Comes to Town', proved he still had it, even at 63 years old. This was not the first time King played with others, in the 70s he played with the jazz group, The Crusaders, others he has worked with have included the blind singer Diane Schuur, Alexis Korner, Stevie Winwood and Bobby Bland. In 2001 B.B. King and Eric Clapton won a Grammy award, the two long time friends recorded the album, Riding With The King. 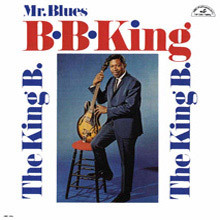 BB King like many of his contemporaries was inspired by Louis Jordan to believe that a black musician could achieve great things and for many years BB spoke of wanting to record an album of the legendary bandleader's material. In 1999 he released that album, which both acknowledges his debt to Louis and celebrates the 'King of the Jukeboxes' string of great hit records. The albums title appropriately is 'Let the Good Times Roll'. It's the song that BB King has used to open his live shows for decades. King's great skill has been to ride out the mood swings of modern music and continue to come up with interesting albums. He brought the Blues out of the margins and into the mainstream of American music; he, above all others, is the undisputed King of the Blues. B.B. 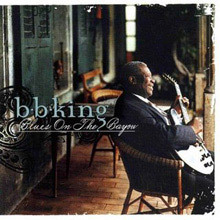 King made his debut as producer with Blues on the Bayou, released in October 1998. He employs the most basic of ideas for this project: record an album of B.B. 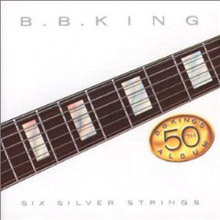 King tunes, with B.B. King's regular road band, under B.B. King's supervision. Keeping it loose, relaxed, and focused, King cut this album in four days down at a secluded studio in Louisiana and came up with one of his strongest, modern-day albums in many years. No duets, no special guests, just King and his road warrior band, playing his songs with him producing the results -- no overdubs, just simple, no-nonsense blues done like he would do them on-stage. The result is a no-frills, straight-ahead session that shows that King might be have been 73 at the time of this date, but he still had plenty of gas left in the tank. Tracks like "I'll Survive," and the jumping "Shake It Up and Go," "Darlin' What Happened," the minor keyed "Blues Boy Tune," the instrumental "Blues We Like," and the closing "If That's It I Quit" show him stretching out in a way he has seldom done in a studio environment, and the result is one of his best albums in recent memory. A decent but short (nine songs) late '60s set, with somewhat sparser production than he'd employ with the beefier arrangements of the "Thrill Is Gone" era. Brass and stinging guitar plays a part on all of the songs, leading off with the eight-minute title track, a spoken narrative about his famous guitar. Originally released in 1972 on ABC Records this album was produced by Joe Zagarino and opens with a surprising, but nonetheless successful cover of The Lovin’ Spoonful’s Summer In The City. The title tune had been a hit for Jesse Belvin in 1959 and according to B.B. King, “It was written by Jesse’s wife, Jo Ann. They were a loving couple and when they were both killed in a car wreck in 1960, it broke my heart. Guess Who reminds me of their love for each other and of my love for my fans.” The album closes with what is one of the finest ever recordings of Eddie Boyd’s Five Long Years; it’s worth the cost of the record on its own. B.B. King is not only a timeless singer and guitarist, he's also a natural-born entertainer, and on Live at the Regal the listener is treated to an exhibition of all three of his talents. Over percolating horn hits and rolling shuffles, King treats an enthusiastic audience (at some points, they shriek after he delivers each line) to a collection of some of his greatest hits. The backing band is razor-sharp, picking up the leader's cues with almost telepathic accuracy. This is B.B. 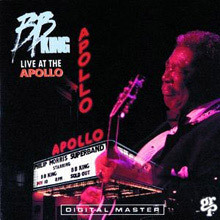 King in 1990 recorded at Harlem's famous Apollo Theater with the Phillip Morris "Super Band" and features yet another of his great live performance. There's a freshness to B.B. 's playing and while many of the tracks including The Thrill Is Gone, Sweet Sixteen and Paying The Cost to Be The Boss are very familiar they benefit from his approach. In particular B.B. 's solos on this album are really strong and it's one of his best albums from this era. It was awarded the 1992 Grammy Award for Best Traditional Blues Album. This 1968 album, originally recorded for the Bluesway label, is one of those almost forgotten gems from B.B. King’s huge back catalogue. Every track on the album is written by B.B. King and includes the classic shuffle, Paying The Cost To Be The Boss and the soulful blues of Raining in My Heart. As with much of B.B’s 1960s recordings it is produced by Johnny Pate and features some wonderful brass charts. It is one of those albums you can play to just about anyone and convince them that they really do love the blues. 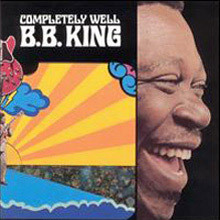 Completely Well was B.B. King's breakthrough album in 1969, which finally got him the long-deserved acclaim that was no less than his due. It contained his signature number, "The Thrill Is Gone," and eight other tunes, six of them emanating from King's pen, usually in a co-writing situation. 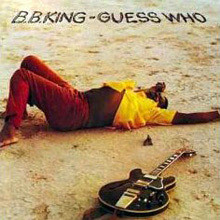 Hardliners point to the horn charts and the overdubbed strings as the beginning of the end of King's old style that so identifiably earmarked his early sides for the Bihari Brothers and his later tracks for ABC, but this is truly the album that made the world sit up and take notice of B.B. King. The plus points include loose arrangements and a small combo behind him that never dwarfs the proceedings or gets in the way. King, for his part, sounds like he's having a ball, playing and singing at peak power. This is certainly not the place to start your B.B. King collection, but it's a nice stop along the way before you finish it. This is B.B. King's ABC-Paramount debut LP from 1963 and is one of the most musically diverse albums of his long career, partly because the album was recorded at three disparate sessions. The first was with the Maxwell Davis Orchestra in March 1962, followed by a September 1962 session where he is backed by Belford Hendricks and the last in April 1963 where he is joined by Teacho Wilshire. It shouldn't be forgotten that this was a time when the concept of the 'album ' as a cohesive recording was less focused. Things were much more about singles and often albums were cobbled together. The highlights include, "Chains of Love" written by Ahmet Ertegun and a cover of Ivory Joe Hunter's "Blues at Midnight." the vocal standout is "A Mothers Love", B.B. King sounds wonderful. This was B.B. King's 50th album and dates from 1985. Five of the tracks were recorded in Miami with Dave Crawford, who also co-wrote most of them with Luther Dixon. There the three tracks that were co-produced by filmmaker John Landis (Blues Brothers film) and Ira Newborn from the soundtrack to the film Into the Night. There's "My Lucille," a homage to his guitar, "In the Midnight Hour", and Into The Night that are the strongest tracks on the album.